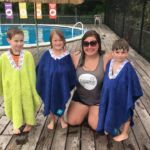 Our number one goal is to teach your child to be safe and self sufficient in the water while giving them a fun learning experience that they will never forget! We do this through group songs and games as well as one on one time with the instructor. We want to do everything in our power to ensure that your child will come away with skills that they can use for a lifetime. Our instructors and Deck Managers are First Aid & CPR certified and have undergone extensive training by our Swim Director. We strive to hold the highest standard for drowning prevention and water safety by having the most alert staff at the pool. We do this because your kids safety is so important to us. Stop by and find out why we are the only swim program in town with the confidence to offer 100% tuition-back guarantee. 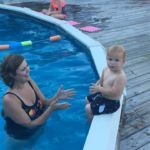 Tiny Tadpoles is a parent participation class designed to introduce your tiny one to a swimming environment. This class consists of up to 5 students (and a parent) and one teacher. Your child will practice skills like kicks, scoops, and suspension in the water through songs and games. 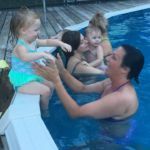 Your child will also be introduced to important safety skills such as back floating, climbing out of the pool and stopping at the edge of the pool. All while having special one-on-one time with you! Swim diapers are required for non potty trained students. Our Angelfish class is designed to teach your child life-saving water safety skills. 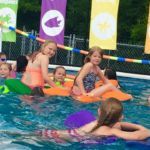 This fast paced, 30-minute class has a 4:1 student teacher ratio to make sure that your child gets the individual attention they need and plenty of time in the water. Our number one goal is for your little one to become safe and self-sufficient in the water. We will practice prone – position swimming, back floating, breath control, climbing out of the pool, and how to react after an accidental fall into the pool. Through songs, games and individual drills, our teachers will make sure that your little one has a great time while learning a vital life skill. Swim diapers are required for non potty trained students. Our Starfish class is for the child that can swim independently, but needs some refinement. We know that gaining a sense of accomplishment is important to your child, so we have broken down our curriculum into reachable goals for your child. In this class, we practice freestyle, rotary breathing, backstroke, along with water safety skills such as back floating, responding to falls into the water, and overall endurance. 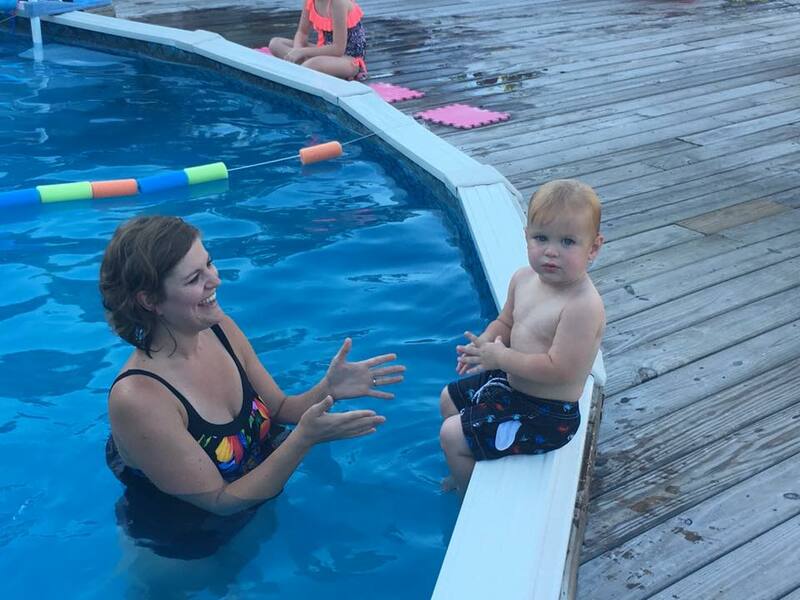 Tigerfish swim class is for the child that has mastered basic swim strokes and is ready to be the coolest swimmer at the pool. In this coaching-style class, your child will learn advanced strokes like the breaststroke, sidestroke, skulling, treading water and more! We will also ensure that your child has mastered water safety skills so you can rest easy (but alert!) at your next pool day. 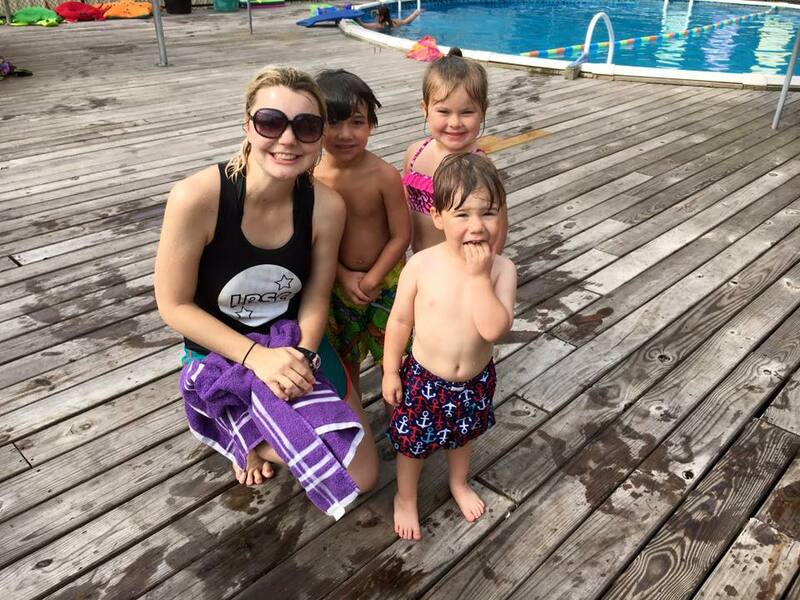 Your child will walk away from our Tigerfish class feeling accomplished and confident in their abilities as a swimmer! The Piranha Club is exclusively for students who attend Leaps and Bounds Summer Adventure Camp. 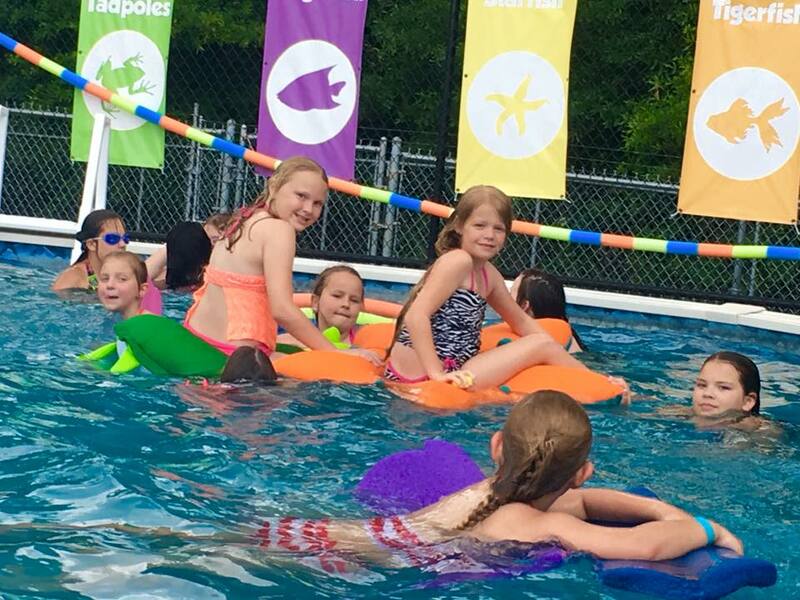 In a group with three other students, your child will learn a variety of water safety skills that will make their pool time during camp even more of a blast! The students in this class will represent a variety of ages and skill levels, but rest assured that our fabulous teachers will tailor our curriculum to meet YOUR child’s needs and experience. 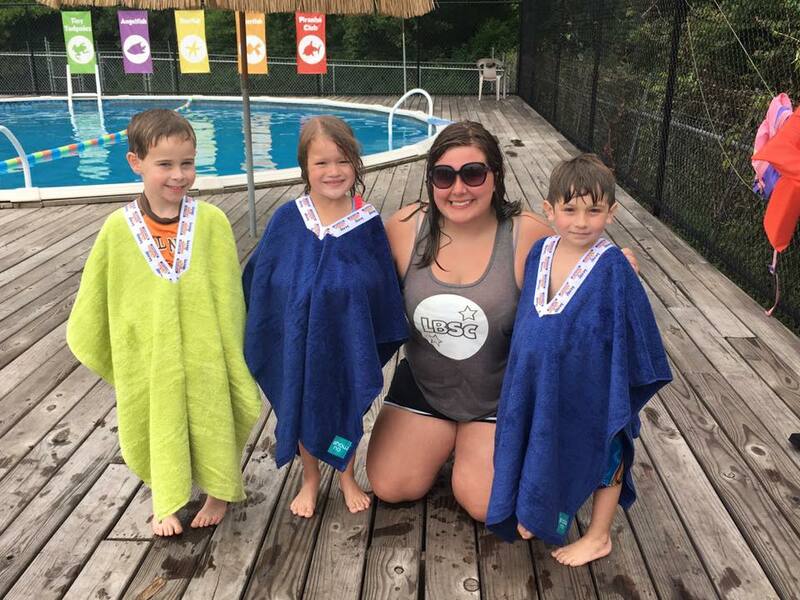 Our ultimate goal is for your child to be safe and self sufficient in the water. We achieve this by teaching your child safety skills such as back floating, breath holding and independent swimming. We also have advanced skills for more experienced swimmers. This one-on-one class puts your child on a fast track to learning those all important safety skills with undivided attention from our teachers. 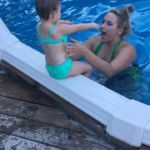 As with all of our classes, the goal of private lessons is to help your child be safe and self sufficient in the water. We would love for you to hang out on the deck and watch your child’s progress. We have provided a covered area with chairs for you while your child swims. If you have questions about your child’s progress or lessons, don’t hesitate to speak to your child’s teacher after class. 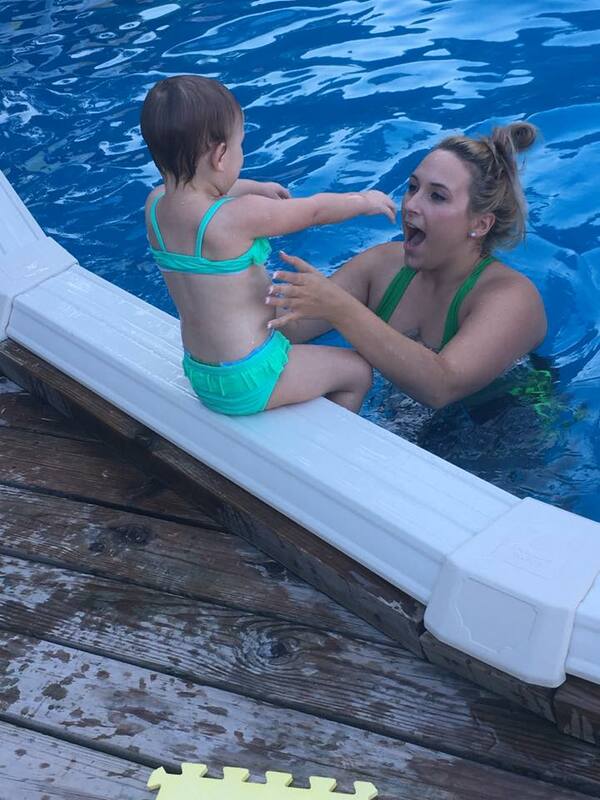 No Swim School Make Ups … But Why? Make up classes are offered if class is cancelled due to unsafe weather, but not for any other reason. Why do we offer make ups in other Leaps & Bounds programs but not Swim? We made a value judgment to prioritize the educational value and safety of our 4:1 ratio over the convenience of make-ups. We hope you agree with our decision. Sorry, no prorated credits or refunds for any reason (see provisions for rain days below). Sorry, we do not give the multiple children or multiple class discount for swim. In the event of bad weather, we will call you at least 30 minutes before your class begins to let you know if it is cancelled. If you do not get a call, assume that class is still on. You are guaranteed 8 full classes. We save Thursday and Friday of Week 2 of your session for rainy – day makeup lessons. 1. Our swim program is designed to teach your child how to be safe and self sufficient in the water. 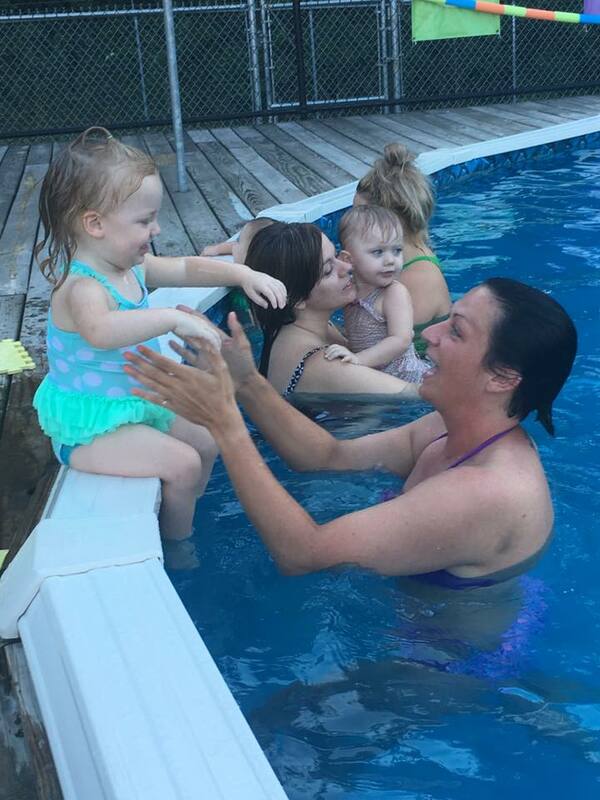 Your child will walk away from our program with instinctive skills regarding water safety. And lots of fun memories! 2. Your child’s face will get wet during class. This is a big deal for some of our little swimmers, so make sure to prep and encourage them! 3. The goal of every class (excluding Tiny Tadpoles) is to have your child swimming in the prone position on their own. We do everything we can to make this fun and empowering for your child – but it can be scary! If you would like your child’s teacher to take a gentler approach at any point, feel free to speak up. 4. Our pools are 4′ deep all around. We have viewing areas and restrooms as well as changing facilities. We welcome you to watch from the pool deck. 5. All of our employees are First aid and CPR Certified with extensive training. 7. Our small, 4:1 ratio exists for one reason– to provide a unique and exceptional swim experience for your child. However, there is a downside to our small ratios: it limits the number of students we are able to accept and favorite classes fill up quickly. Don’t wait! We can’t wait to meet you and your little one! Classes (excluding private lessons) are First Week: Monday –Friday, Second Week: Monday – Wednesday for two weeks. Private Lessons are Monday – Thursday for one week. 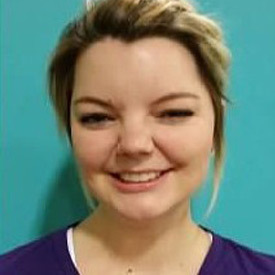 Julie Milne started at Leaps & Bounds while studying to be a teacher at SLU in 2009. She has a special way with kids that put their fear at ease and helps them find their inner bravery. 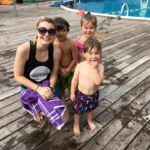 Julie has trained with the professionals at Houston Swim School. Julie is married to Lee and has a son, Ander. When she is not leading her Leaps & Bounds crew, she can find her spending time with her family or taking portraits of seniors.